Music to Delight Every Ear! From South American jazz to internationally-acclaimed vocalist Cyrille Aimeé, Live! at Montpelier is all jazzed up this fall! Opening with “Jazz Group of the Year” nominee Tizer Quartet featuring Karen Briggs on violin, the season also features a tribute to the Bohemian Caverns, performances and talks by the Curtis Brothers and saxophone master, Michel Nirenberg. Enjoy all of these concerts and more in a quaint, intimate setting surrounded by art. The acoustics make every performance a special experience for the ears. Live! at Montpelier kicks off the fall season with the much anticipated return of “Jazz Group of the Year” nominee Tizer Quartet featuring Karen Briggs on violin! TIZER will bring their unique blend of original, high-energy jazz to this wonderfully intimate venue for a memorable evening of live jazz not to be missed! Argentine guitarist Cristian Perez weaves many genres of world music together to create a delightful program. Hear tunes from the Andes to the Himalayas with his quintet, including flutist Yana Hristova, drummer Joe McCarthy, bassist Daniel Brown, and Emmanuel Trifilio on bandoneon. For the past 90 years, Bohemian Caverns was D.C.’s “sole home of soul jazz.” Return “home” to the Caverns with this all-star performance by Kenny Rittenhouse (trumpet), Tedd Baker (saxophone), Allyn Johnson (piano), Michael Bowie (bass), and CV Dashiell (drums). 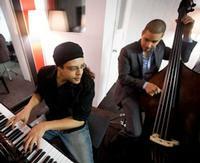 Brothers Luques (bass) and Zaccai (piano) Curtis follow in the rich family tradition of jazz. Their music is rife with the blues, swing rhythms in recognition of their African-Caribbean-New Orleans lineage, and the basic core elements that make their music such a spicy, hard bop melting pot. Join the brothers at 7 pm for a special pre-concert talk and demonstration that will enrich your appreciation and enjoyment of the live performance. Based out of Washington, DC, Carly Harvey combines blues, jazz, soul, Americana, roots, and rock styles. 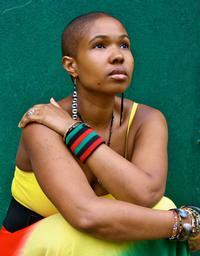 With a sound like Etta James, she is also influenced by Bonnie Raitt, Susan Tedeschi, Ella Fitzgerald, and Nina Simone. 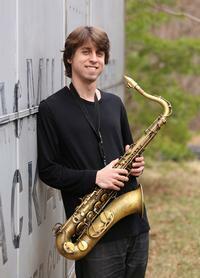 Saxophone master and composer Michel Nirenberg celebrates the vibrant melodies and rhythms of his native Brazil. Surrounded by equally accomplished and charismatic musicians, Nirenberg will give listeners a new experience of Brazilian music. Return Sunday, October 16, 2 pm to learn more about the Brazilian rhythms you’ll hear in this special performance. Terry Marshall has performed in clubs and concert halls as far north as Toronto, Canada and as far south as Rio de Janeiro. 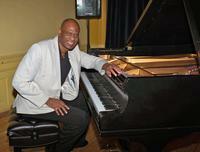 With Terry Marshall & Bridges, he offers a tantalizing straight ahead program for jazz lovers. Listeners of all ages can’t help tapping their toes and humming along. Vocalist Cyrille Aime© is a winner of the Montreux Jazz Festival’s International Vocal Competition, the Sarah Vaughan International Vocal Competition, and the 2015 DownBeat Critic’s Poll (“Rising Star – Female Vocalist”). Raised primarily in France, Aime© quickly fell in love with gypsy music and their way of life, a continuing inspiration to this day. This engagement of Cyrille Aime© is funded through the Mid Atlantic Tours program of Mid Atlantic Arts Foundation with support from the National Endowment for the Arts. Back by popular demand, The Eric Byrd Trio returns to celebrate the music from the Peanuts’ Charlie Brown Christmas show. By bringing fresh arrangements to these familiar songs, it gets everyone in the holiday mood. Merry Christmas, Charlie Brown! Montpelier Arts Center is a facility of The Maryland-National Capital Park and Planning Commission, Department of Parks & Recreation, Prince George’s County, Arts & Cultural Heritage Division. The Maryland-National Capital Park and Planning Commission is supported by a grant from the Maryland State Arts Council, an agency dedicated to cultivating a vibrant cultural community where the arts thrive. The Department of Parks and Recreation encourages and supports the participation of individuals with disabilities. Register at least a minimum of the program start date to request and receive a disability accommodation.